Notopterygium incisum C. C. Ting ex H. T. Chang (Apiaceae) is an endangered perennial herb in China. The lack of transcriptomic and genomic resources for N. incisum greatly hinders studies of its population genetics and conservation. In this study, we employed RNA-seq technology to characterize transcriptomes for the flowers, leaves, and stems of this endangered herb. A total of 56 million clean reads were assembled into 120,716 unigenes with an N50 length of 850 bp. Among these unigenes, 70,245 (58.19%) were successfully annotated and 65,965 (54.64%) were identified as coding sequences based on their similarities with sequences in public databases. We identified 21 unigenes that had significant relationships with cold tolerance in N. incisum according to gene ontology (GO) annotation analysis. In addition, 13,149 simple sequence repeats (SSRs) and 85,681 single nucleotide polymorphisms were detected as potential molecular genetic markers. Ninety-six primer pairs of SSRs were randomly selected to validate their amplification efficiency and polymorphism. Nineteen SSR loci exhibited polymorphism in three natural populations of N. incisum. These results provide valuable resources to facilitate future functional genomics and conservation genetics studies of N. incisum. Although patatin was initially identified as a major storage protein in potato tubers, patatin-like proteins (PLPs) have been recently reported to be widely present in many plant species and shown to be involved in plant-pathogen interactions. However, it is not clear whether PLPs are involved in Nicotiana attenuata resistance against the necrotrophic fungal pathogen, Alternaria alternata. In this study we identified a NaPLP gene, whose expression was highly elicited by A. alternata inoculation. Silencing NaPLP enhanced N. attenuata resistance to A. alternata, which was associated with higher induction levels of JA and ethylene biosynthetic genes, NaACS1, NaACO1 and NaLOX3. The induction of NaPLP expression by the fungus was abolished in JA-deficient plants and significantly reduced in ethylene-insensitive plants. In addition, NaPLP transcripts were highly induced by exogenous treatment with either methyl jasmonate (MeJA) or ethephon. Co-treatment with MeJA and ethephon led to a much higher induction level of NaPLP transcripts, and this synergistic induction was largely dependent on endogenous JA and ethylene signaling pathways. Thus, we conclude that the NaPLP gene is elicited by A. alternata via JA and ethylene signaling pathways in a synergistic way; however, unlike other JA- and ethylene-induced defense genes, NaPLP negatively affects plant resistance to the fungus likely by suppressing JA and ethylene biosynthetic gene expression. Cypripedium tibeticum is a threatened orchid which efficient conservation requires knowledge of its extent and structure of genetic variation. Using two chloroplast DNA fragments (rps16 and trnL-F), we analyzed 157 individuals from 9 populations representing the species range in China. Seven haplotypes were identified. C. tibeticum had high total genetic diversity (HT=0.80) with major contribution to this diversity made by among-population component (GST=0.64, ΦST=0.86). However, despite high population differentiation there was no clear phylogeographic structure. The populations CY and DC made the greatest contribution to the total gene diversity as well as allelic richness. The possible mechanisms and implications of these findings for conservation of the species are discussed. 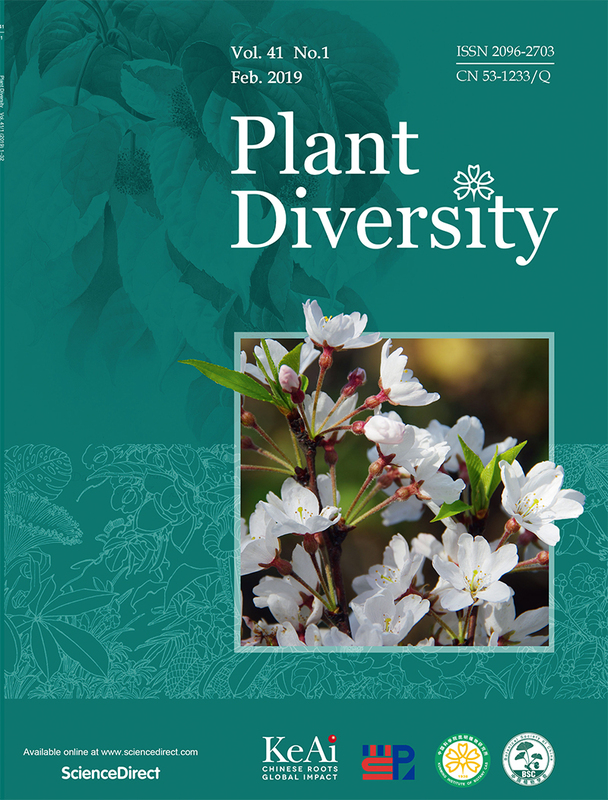 A new species of Rosaceae from Central China, Prunus sunhangii D. G. Zhang & T. Deng, sp. nov., is described and illustrated. 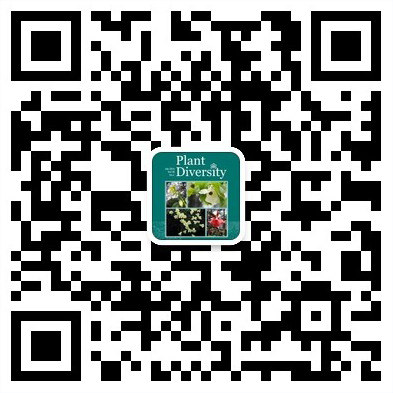 The new species is placed in Prunus subgenus Cerasus by flower and fruit characteristics. It is most similar to Prunus cerasoides, but differs by having longitudinally 2-lobed apical petals, an acuminate leaf apex, 17-25 stamens, white petals, dark black drupes, brown hypanthium, and different phenology. The phylogenetic placement of this species was assessed based on morphological and molecular data. Molecular analysis (cpDNA+ITS) corroborated its placement in subgenus Cerasus, specifically Prunus section Serrula. Global warming increases the vulnerability of plants, especially alpine herbaceous species, to local extinction. In this study, we collected species distribution information from herbarium specimens for ten selected Cyananthus and Primula alpine species endemic to the Himalaya-Hengduan Mountains (HHM). Combined with climate data from WorldClim, we used Maximum Entropy Modeling (MaxEnt) to project distributional changes from the current time period to 2070. Our predictions indicate that, under a wide range of climate change scenarios, the distributions of all species will shift upward in elevation and northward in latitude; furthermore, under these scenarios, species will expand the size of their range. For the majority of the species in this study, habitats are available to mitigate upward and northward shifts that are projected to be induced by changing climate. If current climate projections, however, increase in magnitude or continue to increase past our projection dates, suitable habitat for future occupation by alpine species will be limited as we predict range contraction or less range expansion for some of the species under more intensified climate scenarios. Our study not only underscores the value of herbarium source information for future climate model projections but also suggests that future studies on the effects of climate change on alpine species should include additional biotic and abiotic factors to provide greater resolution of the local dynamics associated with species persistence under a warming climate.